Waterguard is a lightweight, low cost way to ensure that gypsum drywall stays dry and mold free. The most common method for constructing walls in the United States during the 20th and 21st centuries is stick frame construction made up of wood or metal studs with applications of gypsum wall board on each side. This assembly is by far the least expensive, most flexible, and most widely used method for almost any type construction whether residential, institutional, commercial, or educational. The problem is that gypsum wall panels are manufactured with a paper face on each side which is highly absorptive and when installed against the floor surface, may wick moisture through the slab and into the wall creating ideal conditions for the growth of mold. 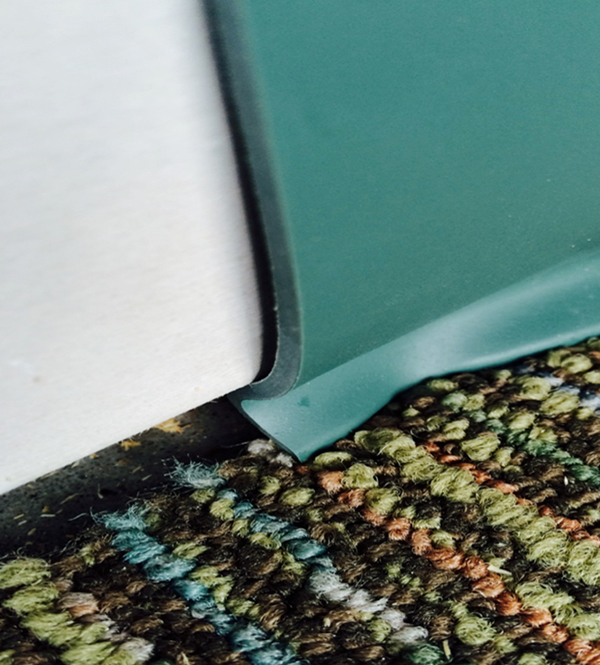 Additionally, every time water is introduced to the floor surface, whether during construction or later while mopping and stripping floors or shampooing carpet, the problem is only compounded. 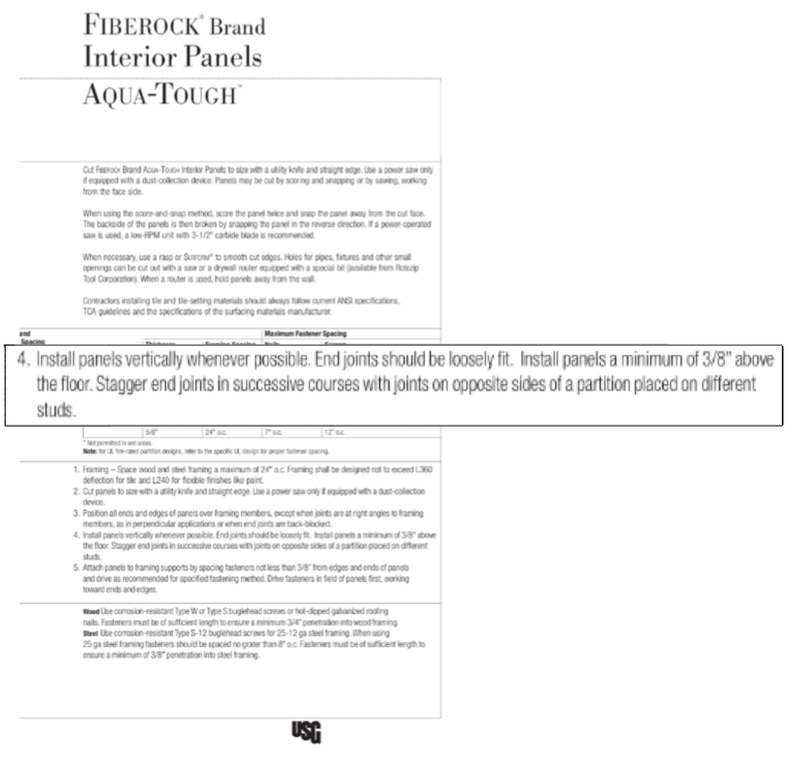 The US Gypsum Association and manufacturers of the wallboard all advise that the wallboard be installed with at least a 3/8” gap between it and the floor for these reasons. 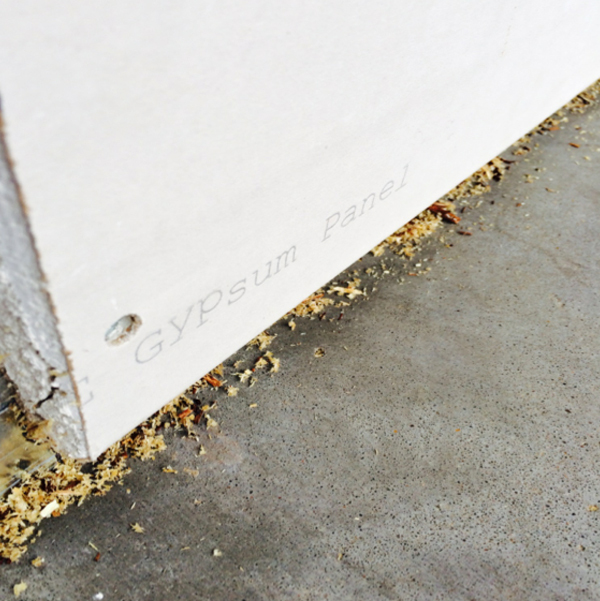 Until now, building owners, architects, and contractors have worked to manage this risk by installing the gypsum wallboard with the lower edge raised approximately ½” above the floor. This is harder than it sounds. Wallboard weighs approximately 1 ½ to 2 pounds per square foot so a sheet may weigh as much as 50-65 pounds. 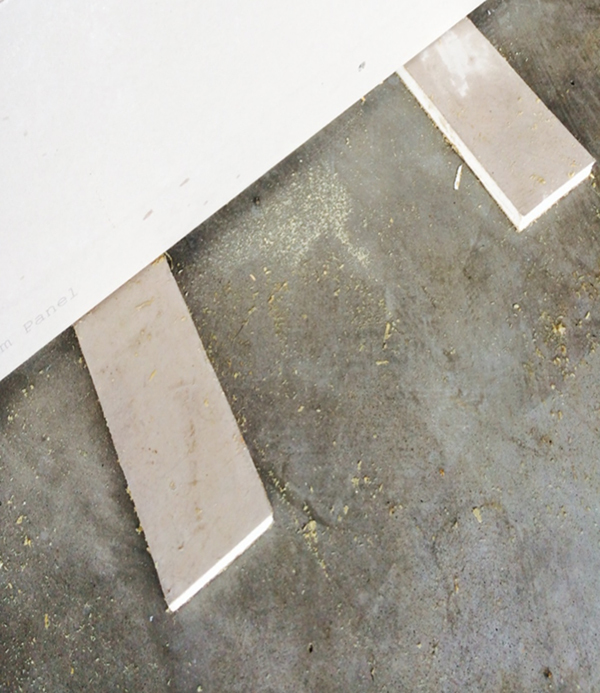 While some contractors may attempt to install the board against the floor and later return to cut or route out the ½” gap, most prefer to use scraps of the wallboard as shims until the board is screwed into place. 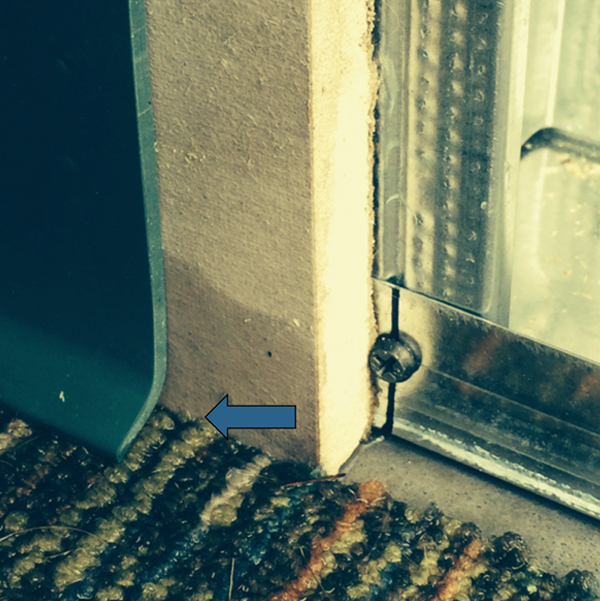 However, due to the weight of the board, these shims are not easily removed and may result in damage to the installed wallboard. Quality control is often problematic. 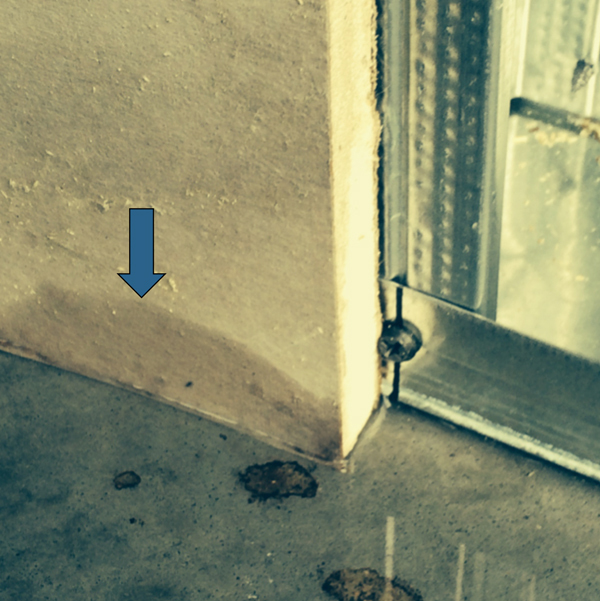 Additionally, if the wallboard is installed as preferred, the ½” gap typically catches construction debris and dirt when the floor is swept, leaving other unwanted materials to absorb moisture and potentially serve as a food source for mold. Requiring contractors to come back and vacuum or scrape and vacuum the gap before proceeding with installation of the finish flooring. 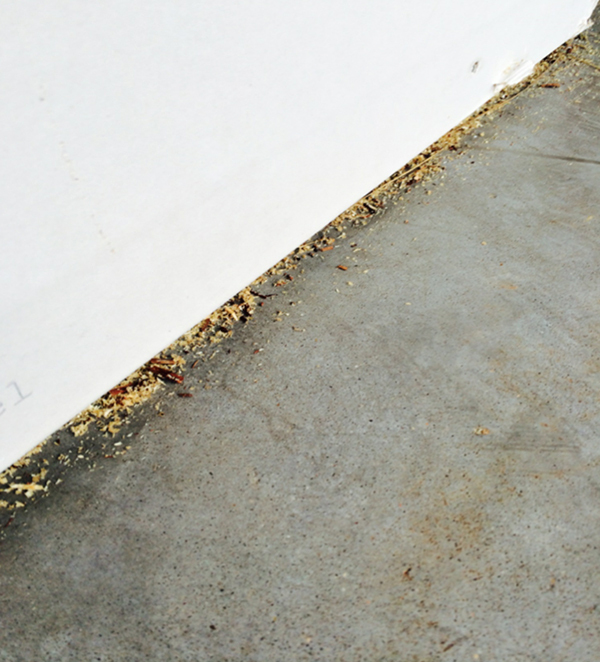 Even when the wall board is installed correctly, and the site is thoroughly cleaned before installation of flooring materials, the rubber base (which is commonly used on all but residential construction) no longer has support behind it at the bottom and is quickly turned under either by foot traffic or cleaning equipment creating an unsightly condition. 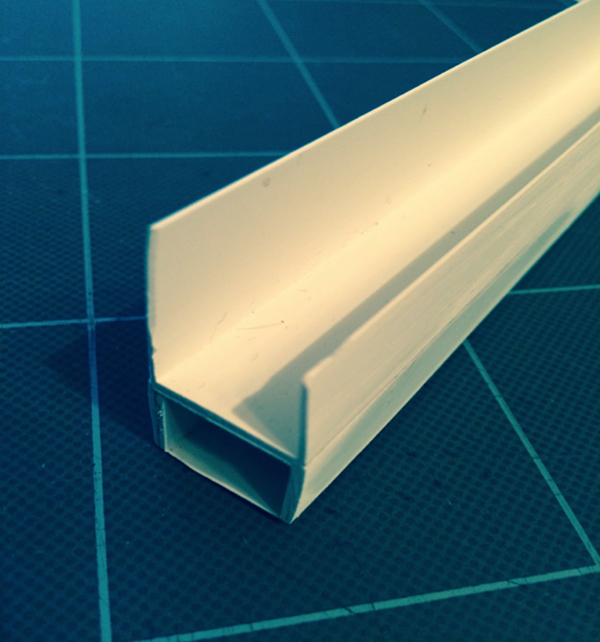 Waterguard is a PVC extrusion made in four foot lengths which is easily slipped onto the gypsum wall board before being installed. No additional glues or screws are required. 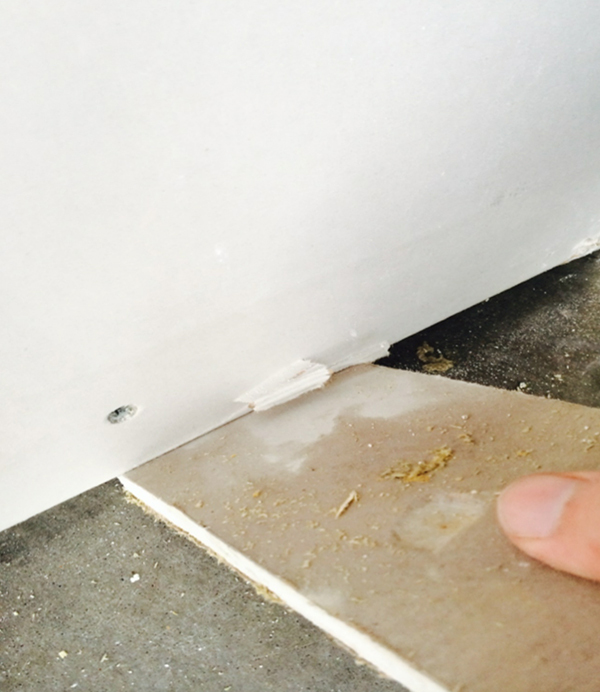 The contractor simply slips a strip of Waterguard onto the bottom edge of the gypsum drywall, stands it up on end and screws the wallboard to the studs as they normally would. Waterguard supports the weight of the wallboard and holds it exactly ½” above the floor level for a clean and consistent application. 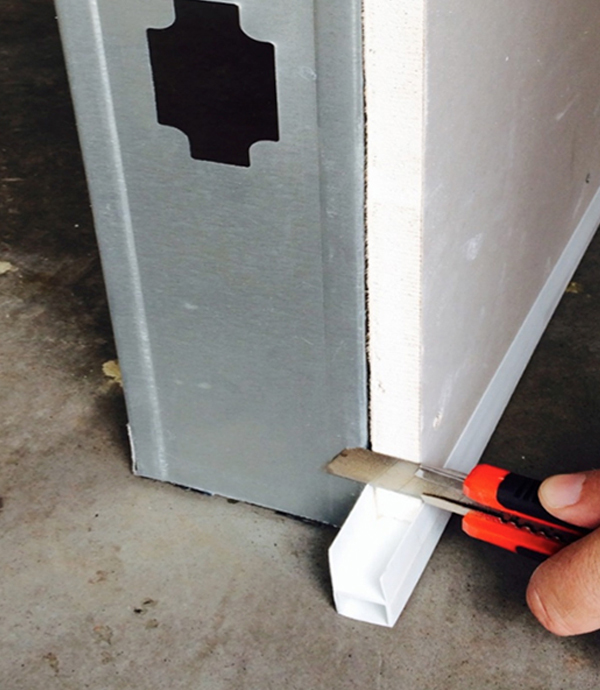 Waterguard comes in four foot lengths and is easily cut using a hacksaw or the same utility knife used for cutting and shaping the wallboard so no other tools are required. 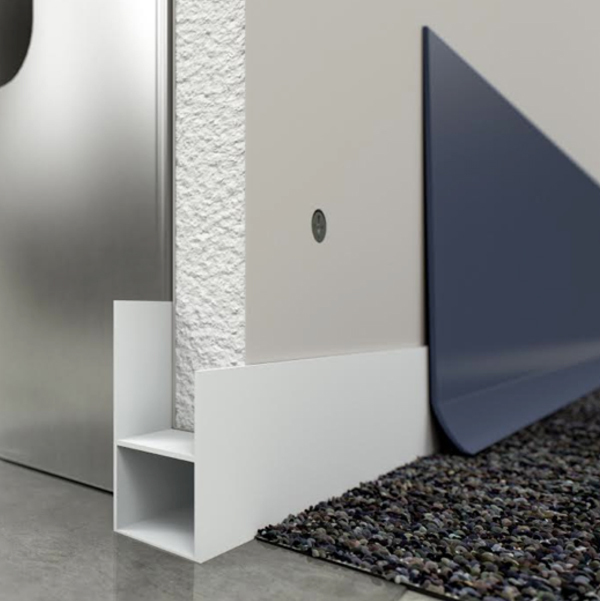 After flooring is installed, Waterguard maintains the thickness of the wall providing support for the finish base preventing it from ever being turned under. 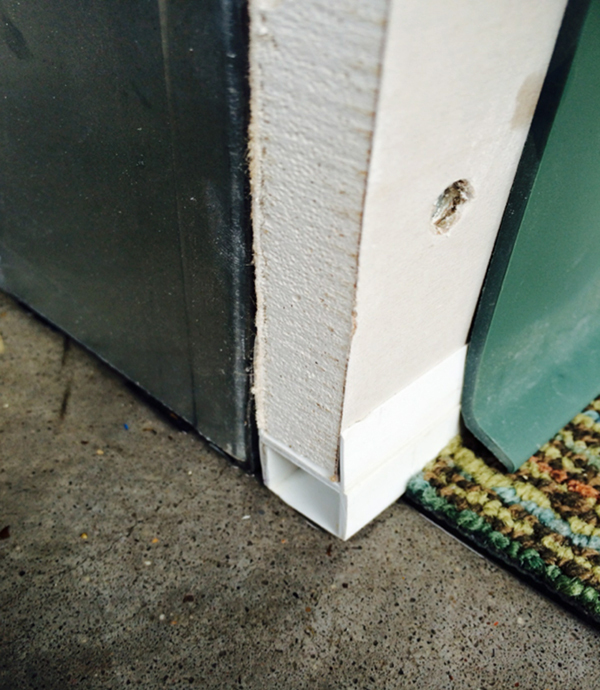 Waterguard comes in ½” and 5/8” thicknesses to accommodate any thickness of wallboard. 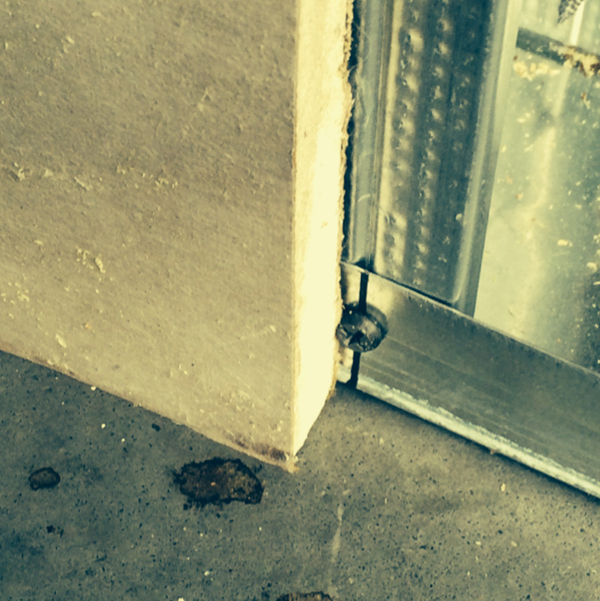 Waterguard also comes in multiple heights including ½”, 1 3/4”, and 3 1/2” to further protect walls against damage caused by minor flooding.